The Appendix locates at the intersection of the small intestine and large intestine. It is a thin tube organ around four inches in length. The appendix locates in the lower right abdomen area. Some experts say that the appendix works as a storehouse for good bacteria which reboots the digestive system after the diarrheal illness. Many scientific studies have proved that surgical removal of appendix does not cause any health problem or issue. Appendicitis: There are no clear reasons but when appendix becomes inflamed, infected and rupture, this condition comes out as in the form of symptoms as for right lower part of the belly, with other conditions as nausea and vomiting, sometimes Appendix swells because it may block because of some infection, a foreign material or a stool. Appendicitis is a common condition; one out of 15 people may develop this condition. An appendix can burst open and spill and it can lead infection through the abdomen. This situation can be life- threatening, so this medical procedure becomes an emergency procedure. Appendectomy is one of the very common performed emergency procedures, which takes place for the abdomen. It is an emergency procedure occurs for the removal of the appendix. Appendix Tumors: Carcinoid tumors in Appendix which secrete chemicals which cause diarrhea and wheezing. Another type of tumor is an Epithelial tumor is a growth which happens in appendix it can be benign or cancerous. 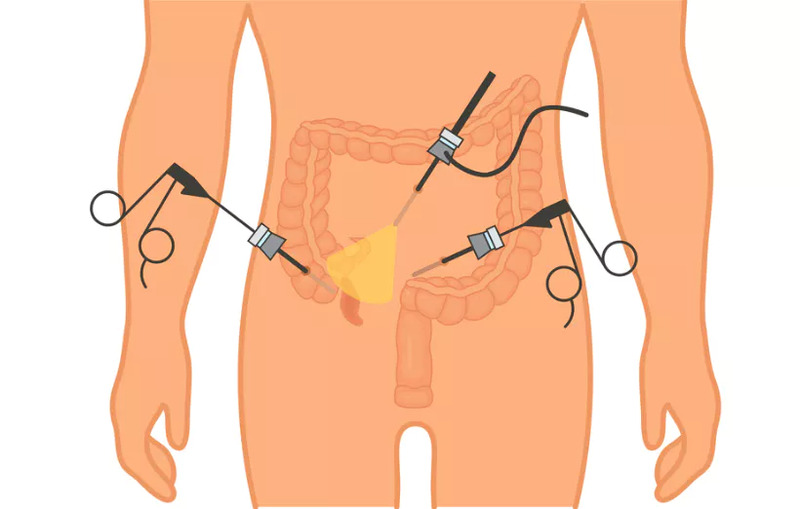 If an appendix tumor is discovered through appendectomy and after confirmation with lab tests some additional surgery could be done to remove more tissue according to the requirement. If necessary, patients may receive chemotherapy with the addition of radiation therapy. For the treatment of painful Appendix doctors generally recommend a surgery to the patient, so that Appendix could be removed. In Traditional open surgery, after anesthesia, a surgeon gives two to three-inch incision at the lower right side of abdomen and removes the appendix. In Laparoscopic Procedure thin and flexible, which contains cameras are inserted with small incision after anesthesia into the abdomen. Through cameras, the surgeon can look into a TV monitor and could see inside the abdomen to remove the appendix. Although Laparoscopic appendectomy causes less scarring and pain in the comparison of an open surgery, we leave this decision on patient’s choice. Subhadra Hospital is considered as one of the best Appendix removal hospitals in Ahmedabad. People come to us with the complaint of stomach pain and vomiting every year trying to find a doctor for Appendix treatment in Ahmedabad. Dr. K. S. Purohit is established name as best Appendix Doctor in Ahmedabad and Rajasthan. Patients who got the surgery in Subhadra Hospital say that Dr. Purohit is the top doctor for Appendix surgery in Ahmedabad. We have done many appendix surgeries of those patients who came to us from out of Ahmedabad and had successful surgery of Appendix with us. Dr. Purohit is celebrated among people as Best Appendix doctor in Ahmedabad, Kalol, Abu Road, Palanpur, Gandhinagar, Anand, Satellite and Shilaj. He is famous as Leading Appendix Removal Doctor in Ahmedabad who can give almost painless Appendix surgery.